The cycling season usually finishes with the ride to Norwich Beer Festival at the end of October but this year a November ride was a late "weather permitting" addition to the calendar. The weather did permit and so 7 stout cyclists set off for a ride of three towns - Sudbury to Bury St. Edmunds to Stowmarket. A short train journey from Colchester to Sudbury got us to the start, the ride beginning along the disused railway line which runs from Sudbury Station along the Stour Valley. We carried on along Sustrans' proposed Sudbury-Bury route 13. 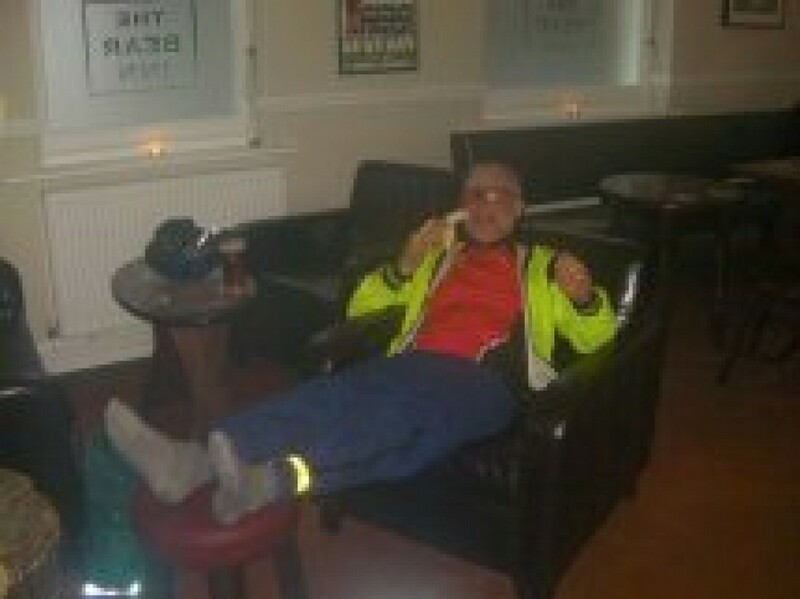 The weather held, staying dry and quite mild but with the usual headwind! The route runs through historic Lavenham, which we've visited on previous tours, and onwards through several villages before reaching Bury from the South East. Our target was The Old Cannon Brewpub for a pre-booked lunch stop. 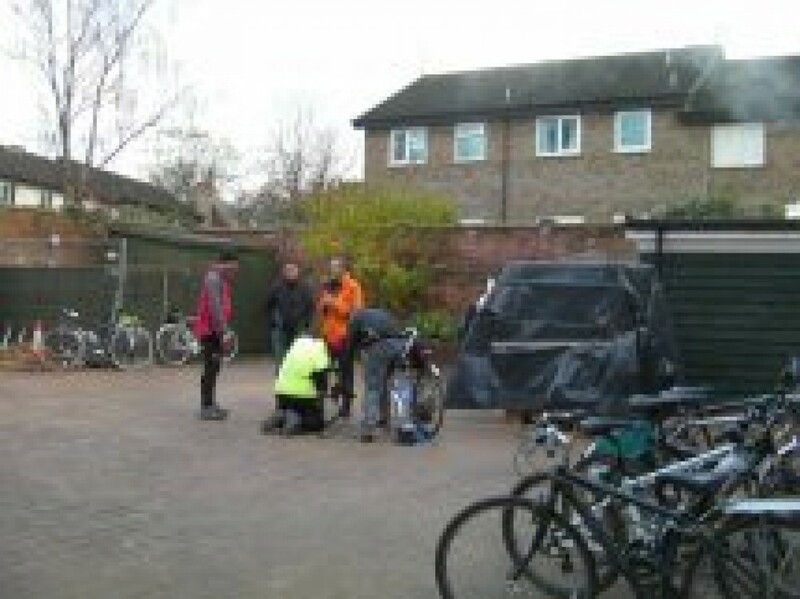 Everything went smoothly until we passed under the A14 and along a section of cycle path, then - a puncture for Brian! An advance party carried on to the Old Cannon whilst repairs were made. 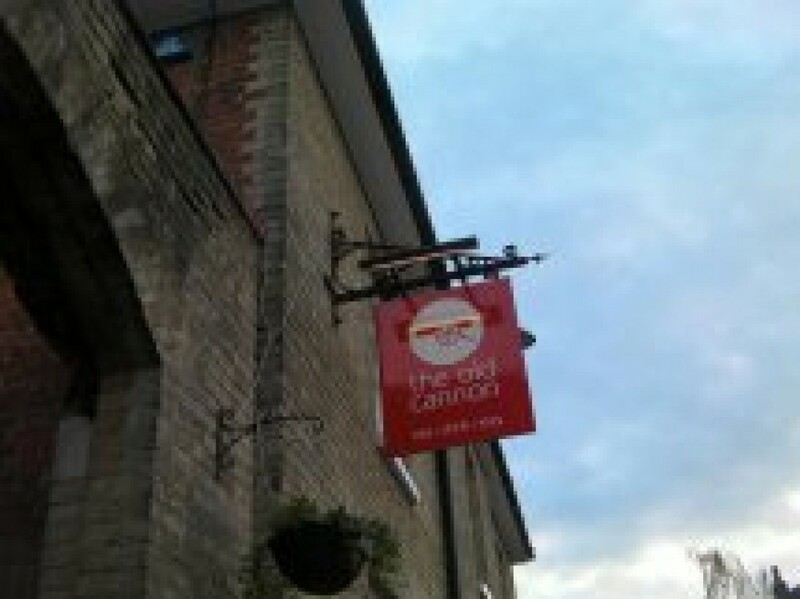 If you're unfamiliar with The Old Cannon then it's well worth a visit, it's a brewpub with the brewery right in the front bar. They usually brew three days a week and you can go along and watch whilst enjoying a pint of the finished product. Acorn Old Moor porter was in fine form as was Old Cannon's own Gunners Daughter along with a very good lunch, although a few of us felt that the portions could have been a bitter bigger. The puncture and headwind had left us slightly behind schedule so we skipped dessert (Robin even turned down custard) and set off for the next stop, The Bear at Beyton which shuts at 4:00pm on Sunday afternoons. Or least we tried to...puncture number 2 was waiting having deflated over lunch. It was Colin's turn this time and with a bit of rapid spannering we were on our way again. 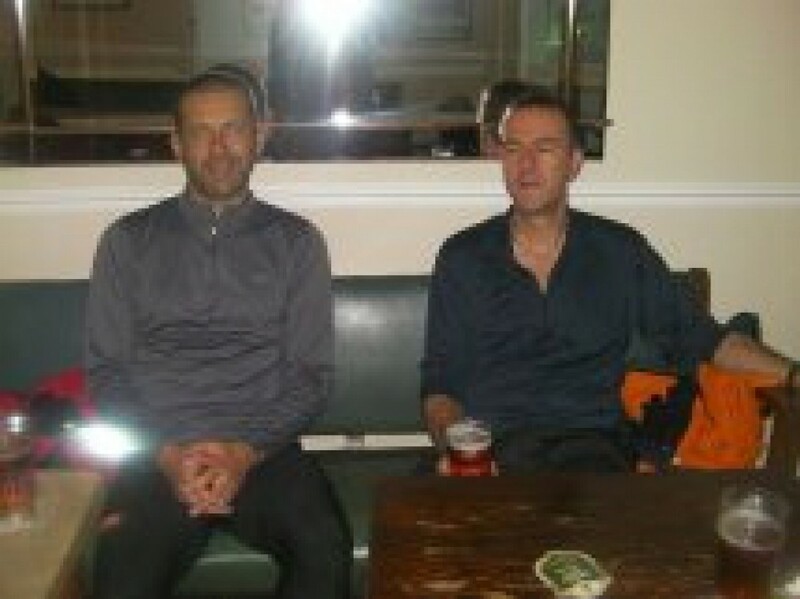 A sprint finish got us to The Bear with a few minutes to spare. An open fire (giving Keith the chance to dry his socks) and a good pint of Grain Oak welcomed us. 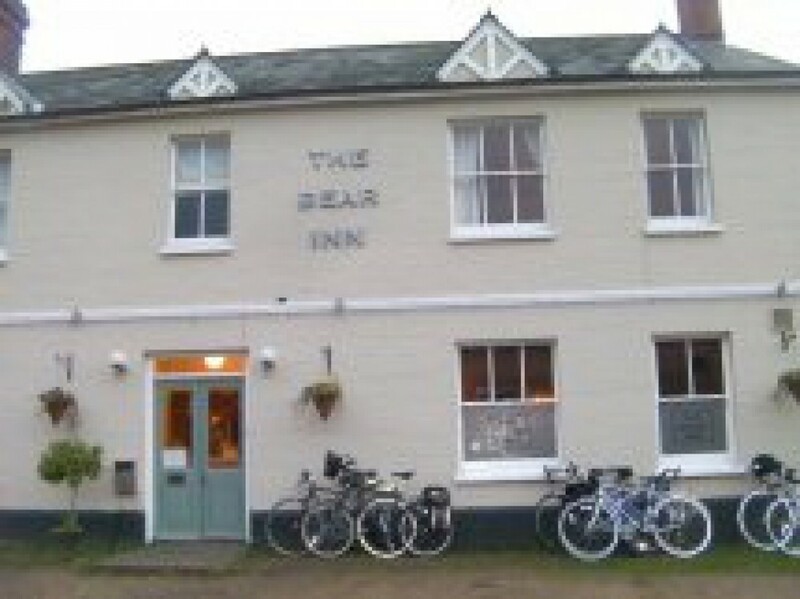 The Bear is in Beyton, a village just off the A14, about midway between Bury St Edmunds and Stowmarket and is well worth a visit. 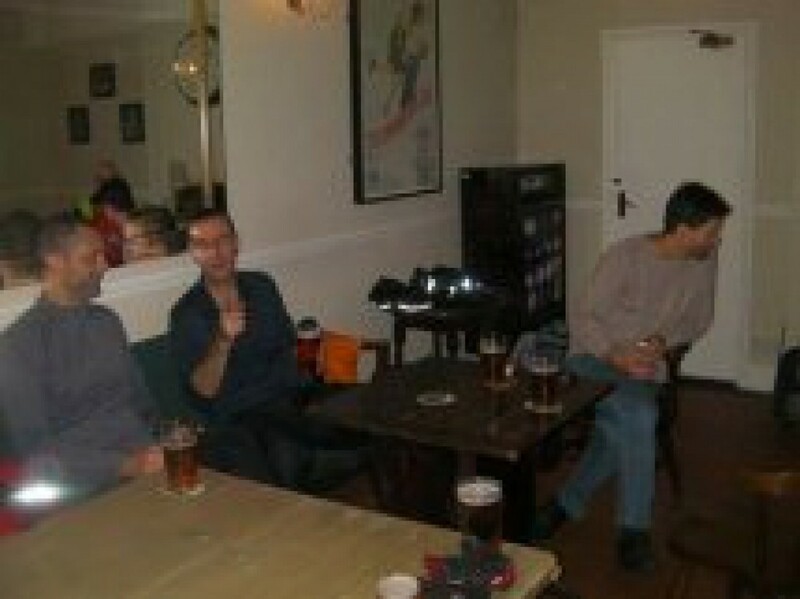 After The Bear it was onwards to the Five Bells at Rattlesden which was packed with locals. Great atmosphere and very good value. We peddled off again in the darkness to the Kings Arms which is just outside Stowmarket Station on Station Road (funnily enough). A very good selection of beers in good condition and going by the "coming next" list on the wall a pub that is well worth returning to. 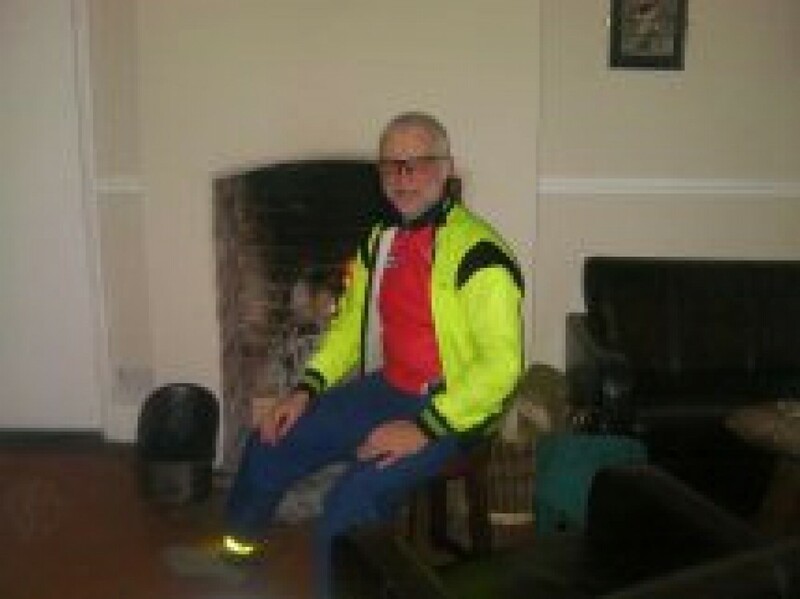 On returning to the bikes Brian found....another puncture. #3 of the day! 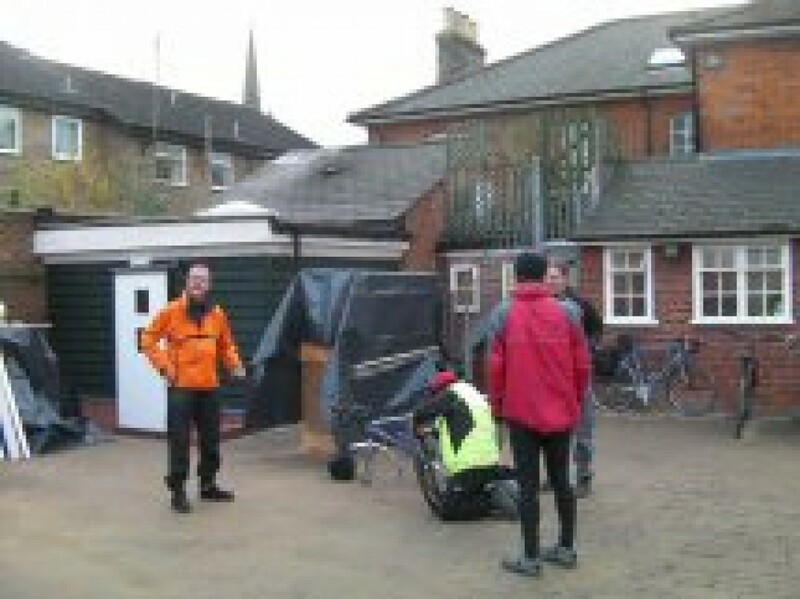 A train journey back to Colchester saw the end of another successful cycle tour. Thanks go to Robin for planning and the photographs. *Update* Puncture #4 of the day happened to Toss on the way home from Colchester station. 4 punctures in one day....we shouldn't be due another one until at least halfway through next year. Unless it rains.